This deal was originally posted here, but now has a dedicated landing page. You can get 1,500 bonus Ultimate Rewards points if you use a Chase Freedom Unlimited, Chase Sapphire Preferred, or Chase Sapphire Reserve to make 5 transactions that are $25+ each via the Chase Pay app between 10/1-12/31. If you have multiple of the same card, each card can earn the bonus. 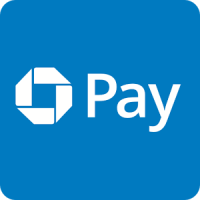 You can use Chase Pay at stores like Best Buy, Cinemark, eBags, Parkmobile, Shell, ShopRite, Starbucks, Walmart.com, and more! You can also pay via Chase Pay in the Walmart App at Walmart stores. If you have a Samsung phone you can add a card to both Chase Pay and Samsung Pay and then in the Chase Pay app select to pay with Samsung Pay in order to qualify for this bonus. Samsung Pay is accepted at virtually all stores by just holding your phone near the chip reader/magnetic swipe reader. 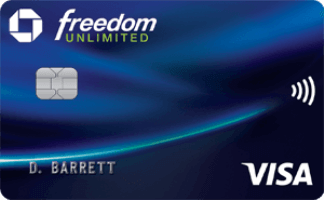 This offer is not valid on the Chase Freedom card, though that card earns 5 points per dollar on Chase Pay and other categories this quarter. For example you can buy 5 Walmart Gift Cards or eGift Cards for $25 each to qualify for this bonus. Just select other payment type at checkout and choose Chase Pay. 36 Comments On "Last Chance To Use Chase Pay Or Samsung Pay 5 Times For $25+ Purchases On Select Cards And Earn 1,500 Bonus Ultimate Rewards Points"
Is this a new promotion? Will I get the bonus if I completed the last challenge in October? No, as the post says it’s the same as the October promo, but now being marketed more clearly. Can the purchases be made outside the States? Nice. So basically go to walmart.com get 5x $25 uber/netflix/whatever gift cards that I am using anyway, check out with chase pay to earn 1625 points with csr and 1,687.5 points with cfu. Only question is this per card or per chase customer? Thank you, You are like the rashi of CC promotions. Language is vague at chase. What an easy promotion to accomplish. That’s nice. I’m kind of new at these types of deals and so I just want to clarify… I can go to Walmart and buy 5 cards to other retailers, each in it’s own transaction, and as long as I pay with Chase Pay each time, then I can earn these points. And I can do that with my CFU, Freedom, and Reserve card. So that would be 15 gift cards. Am I correct? Also, can I do all of this via Walmart.com? And can I buy the same retailer’s gift card over and over with each of the 15 different transactions? Please advise and thank you. I’m not sure how easy it is to get chase pay to work 5 times! I had so many problems at Shell a few months ago (for a different promotion) … in the end I just gave up and had to chat with them a few times to get help. Haven’t used Chase Pay since then. i received an invitation email for the unlimited, but not for my reserve. is this targeted to specific cards? No targeting needed for this. The offer page does not list the Sapphire Preferred card as one of the cards available for the promotion. Does anyone know for sure if it applies to the Preferred card also? Do you have to be targeted? Thanks Dan just bought 5 $25 GC at Best buy via chase pay. Now waiting for the bonus points. Do you think they are going to post once the payment got through or ill have to wait till the statement closes? Can someone please explain how you use chase pay with the Walmart app to shop in store? Do you not checkout at the register ? Thoroughly confused. I added CSR to my Chase Pay, also using CF for 5%. I looked at the CIP site and as expected no Chase Pay there afaik. When I sign up for your forums does it log me in to post in these comments too? I was in the Kings Plaza Best Buy on Friday and was told they don’t take Chase Pay, Apple Pay, or any similar payment method. When I said I had used Chase Pay at another Best Buy that very day, I was told that this was just for the Kings Plaza store. do you have touse your card 5 times ? how long does it take for the bonus points to be credited to the account? thanks! I followed the very first link in this post and then read the following sentence: “Please allow up to 8 weeks after the qualifying purchase(s) post(s) to your account for the bonus points to post to your credit card account.” You could have done the same. do i have to make sure to use the same card 5 times to earn the bonus? what if I use chase pay 3 times with my reserve and 2 with my unlimited? will that work too? …which of course you can’t in many stores. Any solution or workaround for that? Do I need to do it 5 times to get the bonus? If i use it 1x for $25 do I get 1500/25? If I use 3×500 do I get 1500 UR? Do I need to buy 5 cards and check out 5 time or one time ? Chase Business cards are also included in this promo ? How do i know if ive done it already 5 times ? 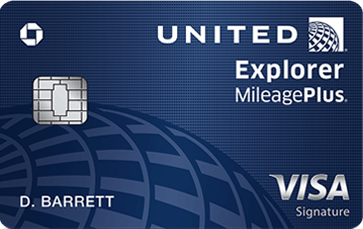 United explorer milage plus card also goes under this catagory? Can this still be done today (12/31)? Or did it expire as of midnight last night?